Pakistan Tehreek-e-Insaf Chairman Imran Khan has announced that making of new Pakistan will start from Punjab. Briefing media regarding today's meeting of PTI Punjab Parliamentary Party in Islamabad, Party's Vice Chairman Shah Mehmood Qureshi said Imran Khan met with newly elected members of Punjab Assembly and discussed with them the current challenges. According to Shah Memood Qureshi, Imran Khan informed the new members that 2018 election is as unique as 1937 and 1970 elections were in their times. The people have reposed full confidence in manifesto and policies of PTI and rejected the politics of nepotism, corruption and bad governance. Imran Khan said the people of Punjab have been living under poverty and their conditions need to be changed. PTI Chief said we will bring reforms in Punjab Police on the pattern of Khyber Pakhtunkhwa to make it an exemplary law enforcing agency. He urged the newly elected members to forge unity in their ranks. 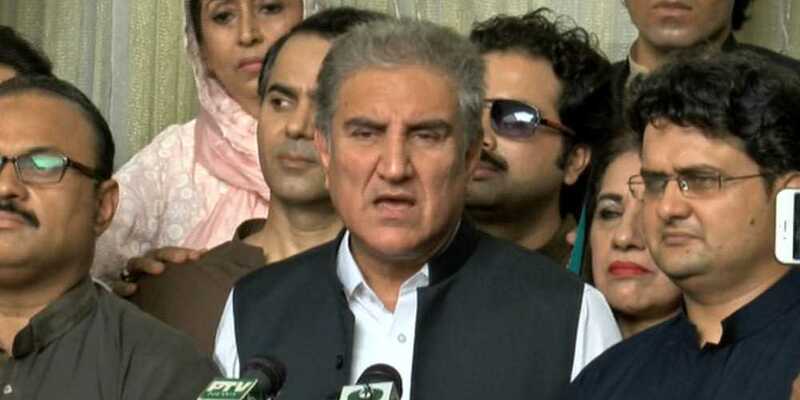 Shah Mehmood Qureshi said PTI has emerged as the most popular party at national as well as Punjab levels in the general elections. He said PTI has changed the status quo in Punjab by routing the parties that had a firm grip on power in the province for the last 4 decades. He said Pakistan Peoples Party has totally flopped in Punjab and could barely won six national and six provincial seats. He said PML-N had a cut throat competition with PTI in many constituencies but popular vote decided in favour of us. Shah Mehmood Qureshi said, in all, 149 votes are required to form PTI government in Punjab whereas we already have the support of 164 members and hopefully, it will cross 180.